The phrase "grand theft" probably reminds you of a popular video game. But in California, the crime of grand theft covers a lot more than just the theft of motor vehicles. 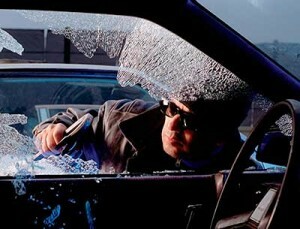 Any theft of more than $950 in value can potentially be charged as grand theft in California. In some cases, the value threshold is even less. When you hear “grand theft”, you might immediately think of “Grand Theft Auto”, a popular video game. However, one does not need to steal a car to be charged with grand theft. Section 487 of the California Penal Code defines grand theft as the unlawful taking of property valued at over $950. Furthermore, a defendant can be charged with grand theft even if the value does not exceed $950 in certain circumstances specified in 487 PC. For example, theft directly from a victim’s person or theft of a car, horse, or firearm is always considered grand theft, even when the value of the property is under $950. Depending on the circumstances of the offense and the prosecutor’s discretion, grand theft can be charged as a misdemeanor or felony offense. Misdemeanor grand theft carries a sentence of up to one year in a local jail. Consequences for a felony grand theft conviction range from probation and/or up to one year in county jail, to a maximum of three years in state prison. Because the prosecutor has to show the accused intended to steal in order to convict for grand theft, a person should not be convicted if they did not intend to steal. Having the owner’s permission to use or take the property which was allegedly stolen is a defense to grand theft. If the accused honestly thought the allegedly stolen property belonged to them, they are not guilty of grand theft because their intent was to possess their own property, not to steal the property from someone else.